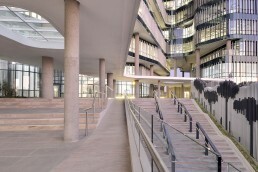 The head office for Ernst & Young is a uniquely sculpted building, emanating timeless elegance, meticulous professionalism and unbridled creativity. 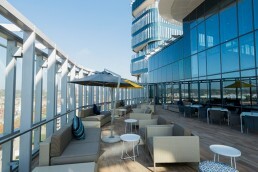 Unlike anything else in the vicinity, the building stands out as an iconic addition to Sandton’s skyline. 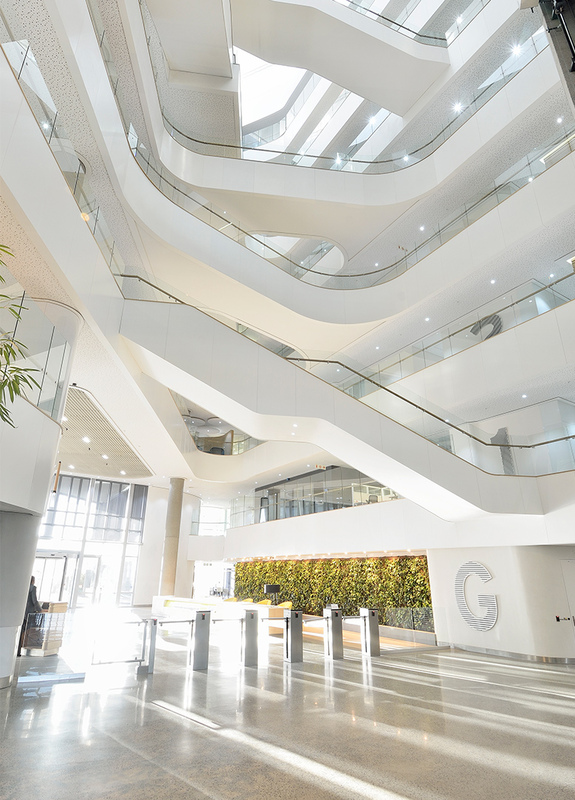 To achieve a 4-star Green rating, the building has been innovatively designed to harness natural light and ventilation, and conserve energy. 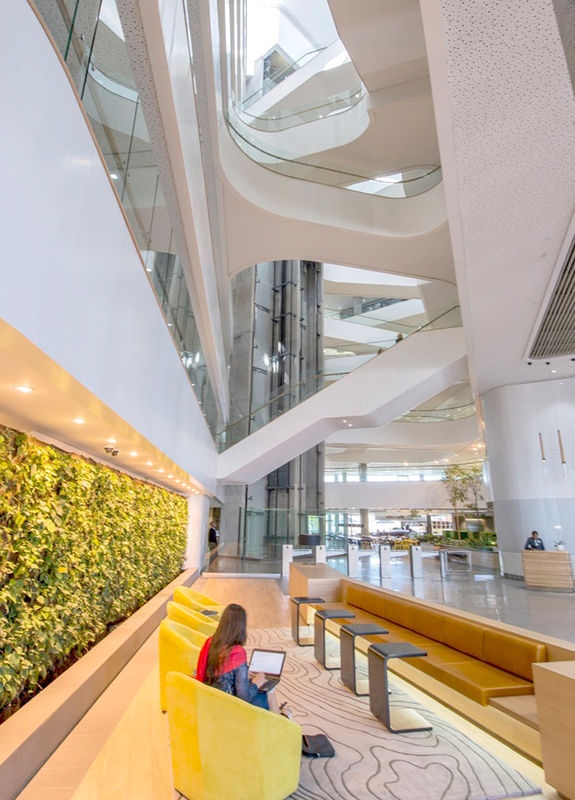 Over sixty percent of the floor space has views to the outside, while a green wall in reception reduces noise and improves the air quality – all-adding to overall employee wellbeing. 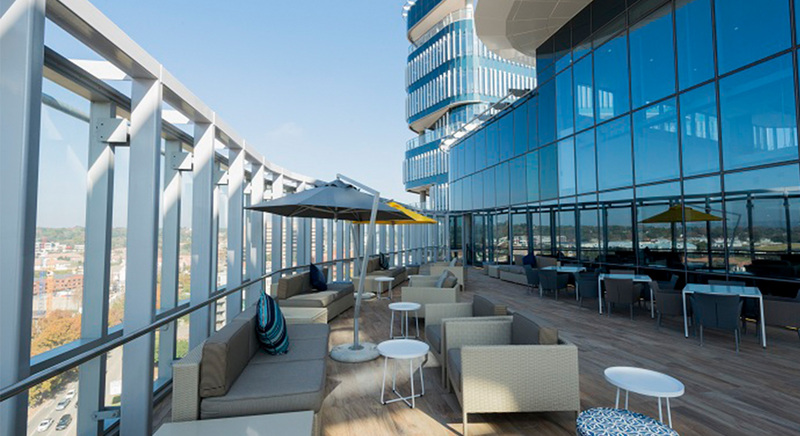 In addition to office space, the development accommodates retail shops, a hotel and residential development. 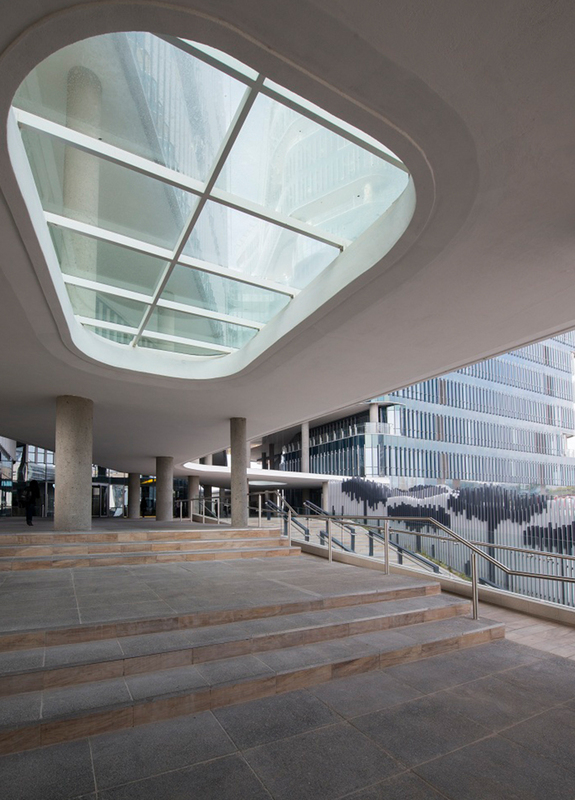 With its convex and concave shapes, the development was built to blur the lines between active and passive, public and private, building and landscape. 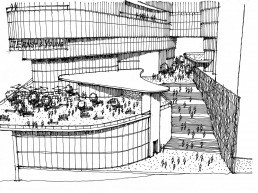 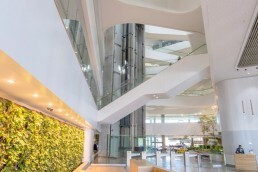 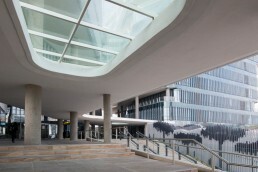 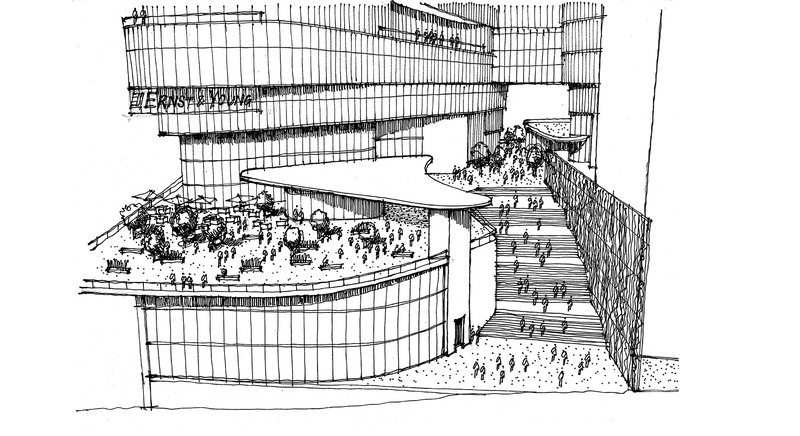 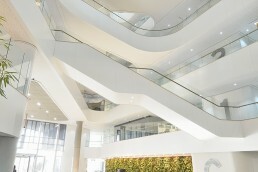 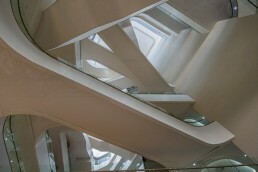 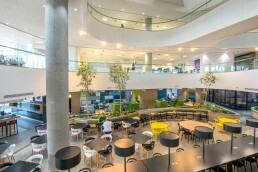 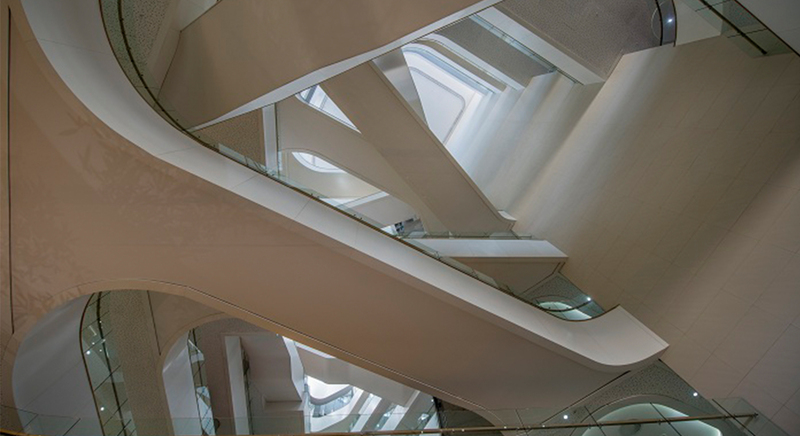 The two storey podium sits above an eight storey parking basement and accommodates the main entrances to the two main buildings – a seven-storey building with an active atrium animated by crisscrossing stairs and a bridge link to a fourteen storey office tower, offering a choice of amenities and facilities to work in. 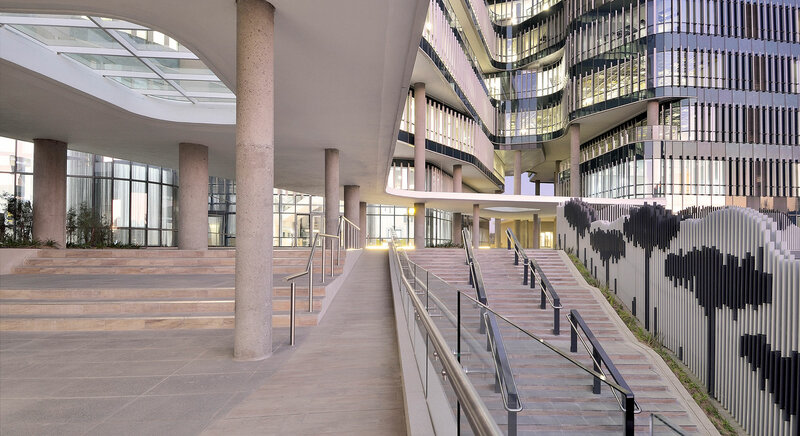 A grand sweeping staircase off Rivonia Road creates a seamless transition for pedestrians from street level to the podium. 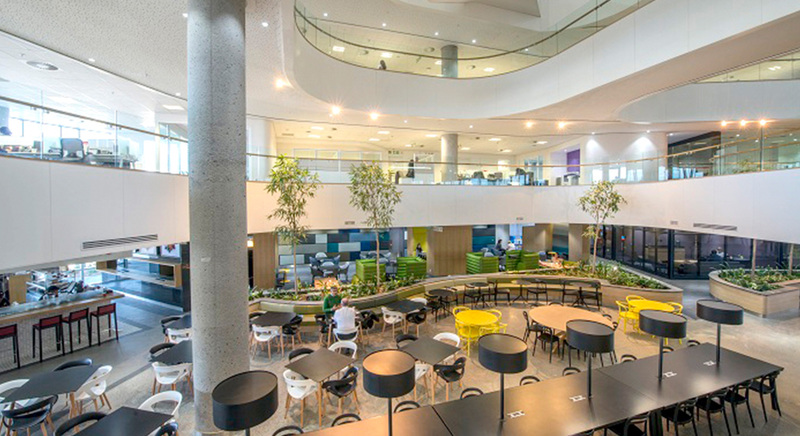 Designed to unlock the potential for an adaptable working environment that encourages collaboration and communication between colleagues and employees from different offices, the development creates a rhythm that establishes itself within a uniquely African climate.